ComputerCraft is a mod by dan200 that brings the digital revolution to Minecraft; it adds computers and assorted peripherals. All devices are programmable with the easy to learn Lua scripting language. You can use Redstone and even RedPower 2 alongside your computers. These computers are fast and have redstone, computation, and even wireless communication support. The Turtle is a programmable robot with its own API. They have the ability to mine out large sections of earth, or simply move items throughout a house. Equipping a turtle with a diamond tool gives it the ability to collect resources. The Turtle will respond to commands from the Turtle API to move and interact with the world. Some FTB mod packs include the Misc Peripherals mod, which adds several peripherals that can be used to further enhance a Turtle. 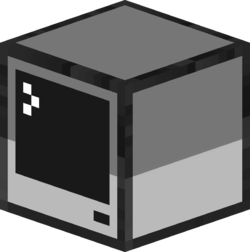 Examples of these peripherals include the Chunk Loader Upgrade, Feeding Upgrade, and Iron Note Block. This page was last modified on 31 July 2018, at 09:27.